Stone Cold was riding high as wrestling’s most popular figure. Austin was engaged in a buffer feud with The Undertaker. 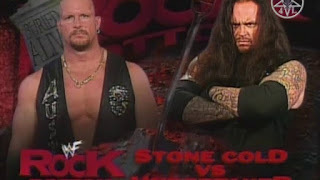 This feud began when Undertaker challenged Austin to a title match in June of 1998. Austin and Taker were then forced to be tag team partners and even won the tag team titles. Austin and Taker would meet at a classic in Summerslam with Austin coming out on top. 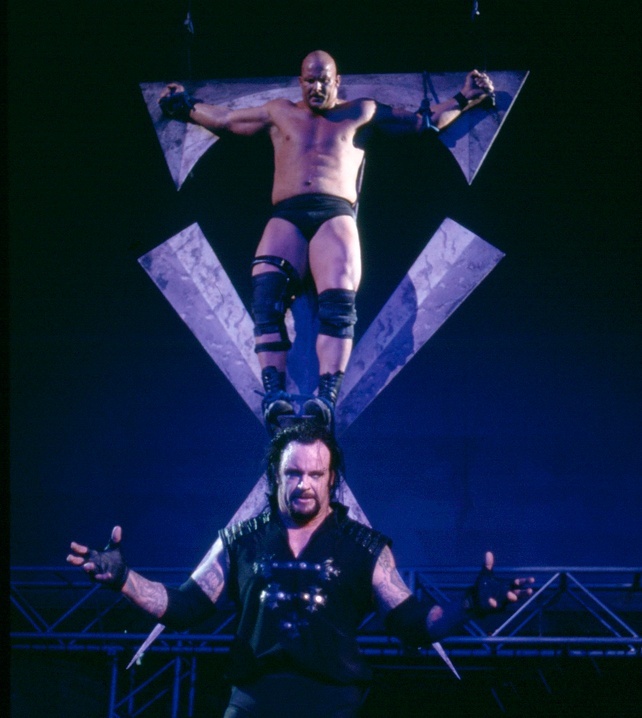 The feud continued when Taker and Kane would defeat Austin for the title at Breakdown. Since there was no definitive winner, Taker and Kane had a match for the vacant title with Austin as the referee. Austin would then cost both men the match and was subject to termination. After being cost the title; Taker turned to an even darker side and attacked Austin every chance he got, including trying to embalm him, hitting him with a shovel and sacrificing him on symbol. 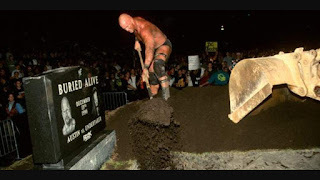 In order for Austin to get a shot at the title, he would have to get in the Royal Rumble and his path to the Rumble was based on if he defeated Undertaker in his specialty, a Buried Alive match. Austin was so popular he main evented a PPV that was named after the current WWE champion, The Rock. Austin and Taker would engage in war back and forth which saw Austin take quite the beating during this match. This battle raged from the entrance to the ring to the gravesite back to the ring and even into the crowd. 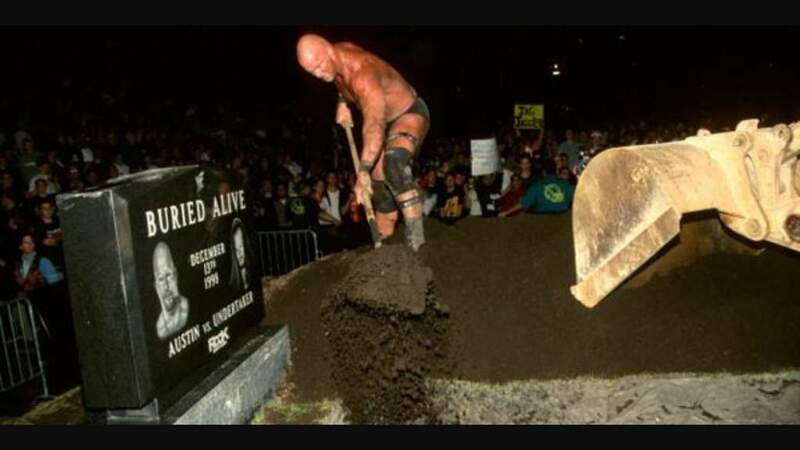 Stone Cold would hit his stunner on the Undertaker who then landed into the grave. Austin then disappeared and Taker was attached by the tweener brother Kane. A returning Austin would be on one of the many vehicles he's driven in a wwe career and proceeded to bury the Undertaker alive with a bunch of dirt. 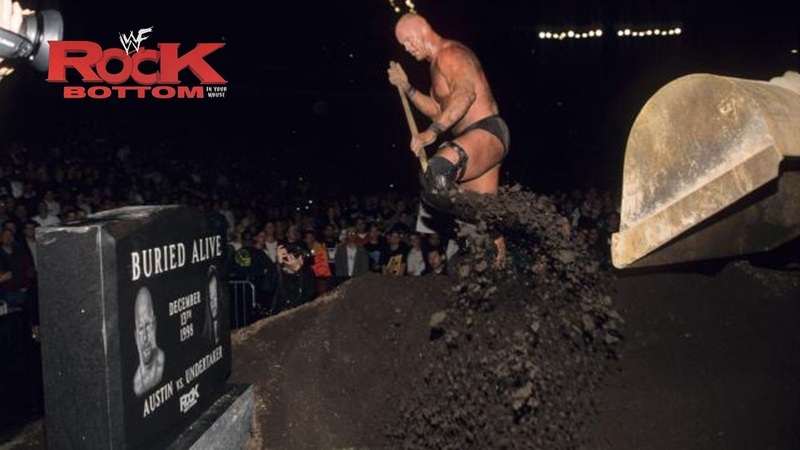 The Undertaker has been in all 5 of the Buried Alive matches in WWE history but this match has not been very kind to him. His record in these matches stands at 2-3. 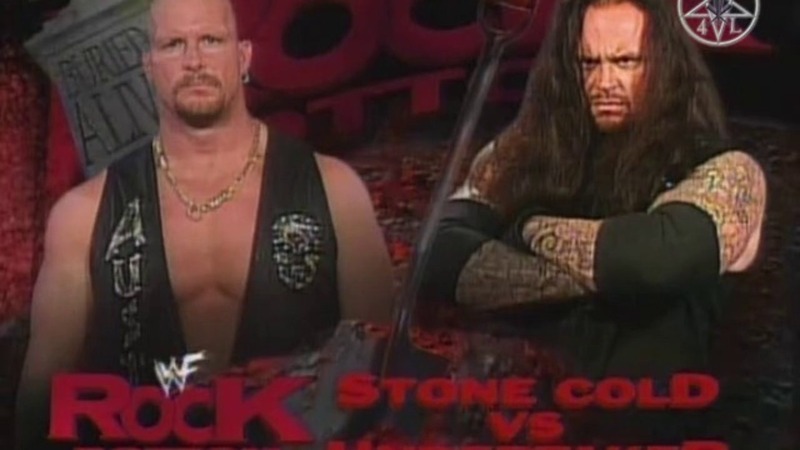 Although not a classic match and not their best together, this is a very hard hitting match. The storytelling was great and although Jim Ross could not be there due to illness, the commentary sold this match and focused only on the match. 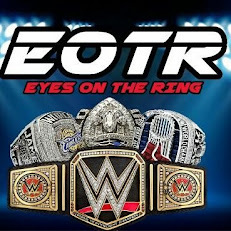 They told how Austin wanted to be champion, but was being hounded by the Taker who felt he was screwed out of the title. The rivalry itself may have been the best rivalry in wrestling in 1998 and both men sold this feud which never had a dull moment.